Leading a class on Goal Setting tomorrow, and I thought I’d share (with all random persons who might stumble on this). Sifting through many quotes on goals, it really comes down to motivation. If it’s not there, nothing else will happen. Look at all the New Year’s Resolutions already being tossed aside like last season’s big thing. I was just reading that most people set New Year’s Resolution as something they ‘should’ be doing, rather than something they ‘want’ to accomplish. We should: want to lose weight..quit smoking…exercise more…clean better…be nicer to our family we don’t like….set more goals! 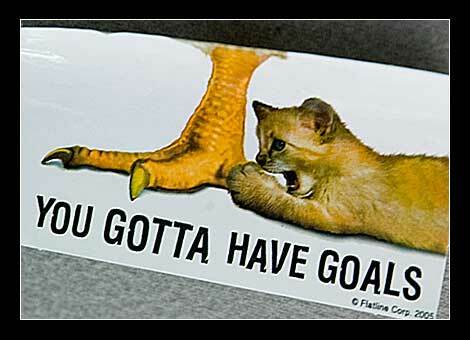 The key in making goals is that you actually want them. Once you identify that, then it’s all about being S.M.A.R.T.! 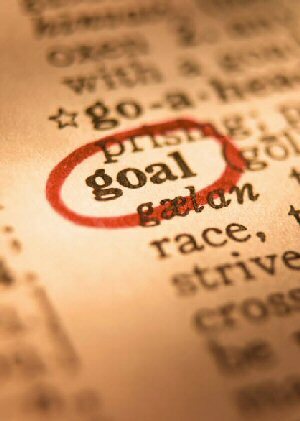 If you can verbalize your goals in this manner, the next step is to write it down. There are a number of ridiculous statistics that show once you write down your well defined, measurable, achievable, relevant, goal within a specific time frame, writing them down, and having them where you can view them regularly makes a significant difference in your success. The next step can be quite a trick. You must make it public!!! Now, in the day of Facebook, twitter, my space, Linkedin, email, webmail, and yes, even Tumblr, the idea of ‘public’ may sound quite ridiculous, and absolutely ‘out of the question’. No, the word public only refers to professing your goals and intentions to at least one paticular person. Preferably one of your advocates who will actually make you accountable in a manner you can tolerate. If you get this far, you probably have achieved more than your fellow resolutioner. It’s one thing to have a goal, yet another to actually find a way to make it happen; You must create a plan of action based around your well defined goal. 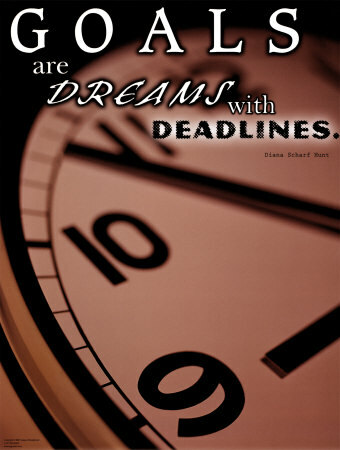 Have your end in sight, written, professed, then work backwards to set incremental goals that aids your intentions. Not many people come up with an actual plan that executes a goal. There in lies the real problem. Make up small milestones with timelines that you can celebrate along the way. Gotta give yourself some snaps for getting part of the way, as long as you keep your eye on the final destination. Now, if you can actually stick with your plan til the bitter end, oh how sweet it is!!! Now you can Woot Woot til your heart’s content and really relish in your accomplishment! Then, it’s time to set your next Goal, and start over again…until you’re done with all you’ve ever wanted to do! Whew! Congratulations to you for Your Something Great!!! Today we mourn the passing of a beloved old friend, Common Sense, who has been with us for many years. No one knows for sure how old he was, since his birth records were long ago lost in bureaucratic red tape. He will be remembered as having cultivated such valuable lessons as: – Knowing when to come in out of the rain; – Why the early bird gets the worm; … – Life isn’t always fair; – And maybe it was my fault. Common Sense lived by simple, sound financial policies, don’t spend more than you can earn and adults, not children, are in charge. His health began to deteriorate rapidly when well-intentioned but overbearing regulations were set in place. Reports of a 6-year-old boy charged with sexual harassment for kissing a classmate; teens suspended from school for using mouthwash after lunch; and a teacher fired for reprimanding an unruly student, only worsened his condition. Common Sense lost ground when parents attacked teachers for doing the job that they themselves had failed to do in disciplining their unruly children. It declined even further when schools were required to get parental consent to administer sun lotion or an aspirin to a student; but could not inform parents when a student became pregnant and wanted to have an abortion. Common Sense lost the will to live as the churches became businesses; and criminals received better treatment than their victims. Common Sense took a beating when you couldn’t defend yourself from a burglar in your own home and the burglar could sue you for assault. 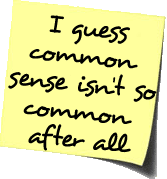 Common Sense finally gave up the will to live, after a woman failed to realize that a steaming cup of coffee was hot. She spilled a little in her lap, and was promptly awarded a huge settlement. Common Sense was preceded in death, by his parents, Truth and Trust, by his wife Discretion, his daughter Responsibility, and his son, Reason. He is survived by his 4 stepbrothers; I Know My Rights, I Want It Now, Someone Else Is To Blame and I’m A Victim Not many attended his funeral because so few realized he was gone. If you still remember him, pass this on!!!! This has nothing to do with my business… but then again, it has everything to do with my business, and yours!! For Common Sense Look at Little Rock Home Trends….